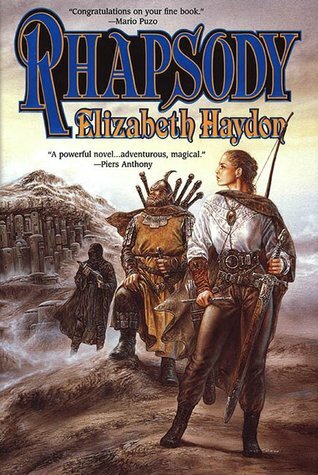 First up, I finished my reread of Rhapsody: Child of Blood. I really enjoyed this one alot, and even though I had read it before, I had forgotten 99% of the story, so it was like reading it for the first time again. 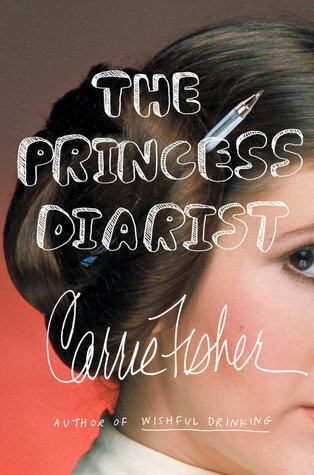 You can find my review of this book here. 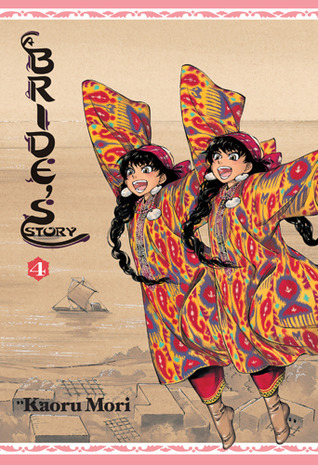 Next I ended up reading Volumes 4 to 8 of A Bride’s Story. I liked some of these more than others, but overall I still really enjoy this series and cannot wait to read the next volume coming out later this year. 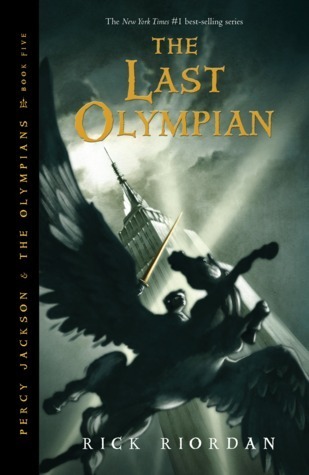 Then I read The Last Olympian. I struggled with this one a bit because I’ve lost interest in the series but didn’t want to leave it at one book, the final book at that, as being unread. I’ll probably review this one eventually, but I’m not eager to do so. Just when I thought I was done reading for the week, last night I ended up reading Xena: Warrior Princess The Huntress And The Sphinx. This one was okay. I’ve read better Xena books, and I’ve also read worse ones. I’ll be posting a full review of this one in a few weeks. Eight books in one week. Not too shabby. Despite my plan to watch some of the stuff I have on my PVR and some anime, I did no such thing. In fact, I barely watched anything last week. I did watch a few episodes of Phineas & Ferb with my son, we are now into season 3 of the show. For family movie night we ended up watching Crocodile Dundee, a movie the hubby and I haven’t watched in a few years. It was the boys first time seeing it and he liked it overall, but found some parts to be boring. So much for my take it easy and do nothing week. I ended up doing a bunch of baking because a number of orders came through. Then I sorted through the vast majority of stuff we have set aside for a garage sale, took an inventory, worked out pricing and all that fun stuff. In doing that I made quite a mess of half the house, so I then did a thorough cleaning of the house. We did manage to sell a few of the bigger items this week, advertising them on a local sale site, which cleaned up a nice amount of room. We also started the task of rearranging our bedroom, I don’t know why we did this, but it’s happening. I’ve also been spending a good chunk of time in the garden, tending to the steadily growing plants, weeding and just enjoying the nice weather. I don’t really know what I will be reading this week. I need to look at my TBR pile and see what jumps out at me. I will once again try to watch things that are on the PVR in order to clear out some space on it. I also would really like to start to watch at least one anime series this week, though I have yet to decide which series I will watch. I have some more prep work to do for our garage sale, which will hopefully happen sometime in the next two weeks. Then we need to finish rearranging our bedroom, put together another bookshelf, fill it with books and add the old shelf to the garage sale pile. I’m sure there is more than needs to get done, but that’s the immediate concerns. I loved the original Rick Riordan series, but I too have started to fizzle with the continuing and spin-off series. I’m not sure why, and maybe I’ll get back to them later. Yeah, I don’t know why I started to lose interest, but it increased with each book. Going to be a while before I want to pick up the Heroes of Olympus series that’s for sure. Wow. I didn’t realize A Bridge’s Tale was still going. We’re in the last few days in our current place. It seems like the work to move will never end. Come see what I’m reading when I’m not packing. Yes, it currently has nine volumes and I’ve heard a tenth one is in the works. Moves are like that, they drag on, are too much work most of the time but will all be worth it once it’s over with.